Redding, Connecticut located in Southwest Connecticut is 31.5 square miles, about five miles from north to south, roughly seven miles from east to west. It encompasses 4.9% of Fairfield County. Joel Barlow High School is ranked as one of the top schools in America!!! Climate: The Western Connecticut State University Weather Center says the average winter temperature is 31.8 degrees, spring 47.7, summer 70.1, and fall 52.9. The average precipitation is 48.64 inches of total accumulation, which includes 38.2 inches of snow. Mill Rate: 21.00 (2008) Where Tax Dollars are Spent. Looking for assessments, the Town of Redding provides assessor's data online. Property Maps, Property Cards. Employment: Click Here to View Major Employers in Area. Redding is also 55 miles from New York City. According to the Connecticut Department of Economic and Community Development, the population for 2008 was tallied at 9,365. There were 4,656 females and 4,709 males. The population is expected to reach 9,901 by 2013. What is the average price of a house in Redding? In 2007, 107 listings were sold in Redding. In 2008, there were 75 listings sold, and in 2009, 70. The average list and sale prices have also dropped over the last two years. The average list price in 2007 was $889,768, with an average sale price of $843,994. In 2008, the average list price was $765,200, with an average sale price of $717,714. And in 2009, the average list price was $708,442, with an average sale price of $664,338. The highest sale was $1.5 million; the lowest, $168,900. There were 3 sales over $1 million. The average market time was 139 days. Currently all property within the Town of Redding, Connecticut is valued using the cost schedules that were developed during the 2007 Revaluation. When a new structure or modification is made to an existing structure the Assessor’s Office will receive notification from the Building department and the Assessor or member of the Assessor’s office will conduct a physical appraisal of the property and record all changes. What is Redding’s average household income? The town profile lists Redding’s median household income at $112,412 in 2004, compared to $71,097 for Fairfield County and $58,438 for all of Connecticut. Redding Elementary School (grades K-4), 33 Lonetown Road (938-2519). John Read Middle School (grades 5-8), 486 Redding Road (938-2533). Joel Barlow High School (grades 9-12), 100 Black Rock Turnpike (938-2508). Joel Barlow High School Awarded Silver Medal in U.S.
News And World Reports Top American High Schools Rankings. Joel Barlow High School ranks among America’s top high schools, according to Newsweek’s most recent list. Barlow landed the 1,178 spot out of the nation’s top 1, 300 schools. Only about 5% of the approximately 27,000 U.S. public high schools earned spots on the list. . The official enrollment in each school is taken Oct. 1. As of Sept. 19, there were 709 children in Redding Elementary School; 568 in John Read Middle School; and 981 in Joel Barlow High School. Redding Elementary School is in session from 8:10 to 2:40, John Read Middle School from 9 to 3:30, and Joel Barlow High School, 7:30 to 2:07. The Easton, Redding and Region 9 bus routes for the 2007-08 school year are available on the school districts’ Web site at www.er9.org. If parents have questions regarding their child’s route, e-mail Cindy Wellington of First Student at EastonRedding.Reg9@fs.FirstGroupAmerica.com or by phone at 203-778-2498. Children should be at their bus stop five minutes prior to the scheduled time of pick-up, school officials say. For the 2007-08 school year, school opened on Aug. 29. Holidays and vacations include: Labor Day; Rosh Hashanah; Columbus Day; Yom Kippur; Election Day (Region 9 in session); Veterans Day; Thanksgiving recess; Holiday recess; New Year’s Day; Martin Luther King Day; Feb. 19-22, winter recess; Good Friday; April 14-18, spring recess; and Memorial Day. The last day is scheduled for June 13, but may change depending on the number of snow days used. The average class size is 18 to 22 students in Redding Elementary School and 20 students in John Read Middle School. There is no average size for Joel Barlow High School - class sizes vary by subject matter - although the desired size is between 18 to 20 students per class. The average SAT scores 2006 seniors were 561, verbal, and 565, math. Almost the entire senior class - 99.4% - took the test. Compared to its Educational Reference Group (ERG), Joel Barlow performed below the average in verbal, but equal in math. The ERG includes Avon, Darien, New Canaan, Ridgefield, Simsbury, Weston, Wilton, and Westport as well as Region 9. What information does the school need from transferring students? Schools require students to bring copies of their transcripts or report cards, their medical forms, and proof of address. Eighth grade: math, 94.8%; reading, 94%; writing, 94%. Sixth grade: math, 92.1%; reading, 87.9%; writing, 93.6%. Fourth grade: math, 89%; reading, 77.8%; writing, 83.8%. These scores are all above the statewide average. What is the current school budget? The Redding Board of Education’s 2007-08 budget is $18.7 million for Redding Elementary School and John Read Middle School. The Region 9 Board of Education’s 2005-06 budget for Joel Barlow High School is $19.3 million. Redding’s share of the total Region 9 budget is $10.6 million. Easton pays the other portion. Redding’s portion of the budget is based on the number of students enrolled at Joel Barlow. Teacher Salaries: In Redding, the average first-year teacher salary for the 2006-07 school year is $41,849. At Joel Barlow High School, the starting pay is $45,036. By state law, all Connecticut public school teachers must have a master’s degree to teach beyond 10 years. The highest salary a Redding teacher can earn is $85,419 with 16 or more years of teaching experience and 30 credit hours beyond a master's degree. In Region 9, the highest salary a teacher can earn is $95,726 with 16 years or more of teaching experience and a Ph.D.
How can I get more information about the schools? The school system has developed brochures on budgeting, evaluation, curriculum, and communicating with the schools. Available at the district Web site, er9.org. If you have questions, send an e-mail to questions@er9.org and you will be directed to the appropriate person. Benedictine Grange, Dorethy Road (938-3689). Where’s the library and when is it open? The Mark Twain Library (938-2545), Redding’s library, is at the intersection of Route 53 and Diamond Hill Road. It is owned by the Mark Twain Library Association. The library is open Monday through Thursday from 10 to 7; Friday and Saturday from 10 to 5, and Sunday from 1 to 5. In summer (June through August) the library is closed Sundays. The Web site is marktwainlibrary.org. The library collection includes more than 40,000 books, music CDs, DVDs, videos and books-on-tape. In addition, there are more than 100 periodicals and serial publications available to the public. The library also offers local and state history collections, interlibrary loan, copy machines, and a community meeting room that may be rented for meetings. Does the town have a social worker? Instead of a separate social worker, the town has combined social and senior services into one job - the director of human services. Gail Schiron serves in this post and provides general assistance for families and single people who are without sufficient income or assets. The help she provides can be medical, financial, food, or energy assistance. If there is a case she cannot handle through her office, Ms. Schiron will also refer people in need to organizations that can help. She additionally oversees senior services for the town and serves as its municipal agent for the elderly. For more information, 938-3580. What garbage collectors serve this town? There are five garbage collectors that serve Redding: Trojan Horse Sanitation (792-2525), Redding Sanitation (938-3391), Country Disposal (438-9385), LoStocco, (743-9940), and Matlock Refuse, (544-8171). What local parks are there? What do they offer? Topstone Park off Topstone Road is the town’s only municipal park and only spot for public swimming (see below for details). 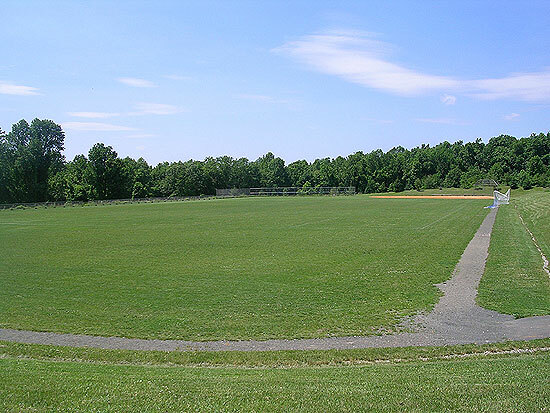 There are also many miles of trails, picnic grounds, barbecue stands, tether ball, and a basketball court. Call the Park and Recreation Department at 938-2551 for more information. History note: Topstone was once the home of photographer Edward Steichen. Putnam Memorial State Park on Route 58 is 800 acres mostly in Redding, partly in Bethel. The historic park was a Revolutionary army campsite in the winter of 1778-79. Marked areas show where the campsite was. There are hiking/biking trails, a pond and picnic tables. View Park History. Collis P. Huntington State Park has more than 900 acres, mostly in Redding, some in Bethel and Newtown. More than 7.5 miles of trails serve hikers, bikers, horseback riders and cross-country skiers. There are four ponds in the park and although swimming is not allowed for health reasons, fishing is permitted. View Park History. There are several other trails, preserves, natural areas and watersheds in town where residents may hike, fish or just take in the beautiful scenery (see list of hiking trails). For more information about state parks or for trail maps, call 860-424-3200. What facilities are at the Redding Community Center? As far as recreation facilities are concerned, the center has a double gymnasium used for volleyball, basketball, and dance and exercise classes; a community room with a special floor for exercise classes; and three multi-purpose playing fields. Are there public tennis courts? Public tennis courts are near the community center on the right side of Redding Elementary School. Tennis lessons are held in spring, summer and fall, and residents may use the courts for free. Is there an adult softball league in town? Men and women can play in the Adult Softball League. Call the Park and Recreation Department at 938-2551. Oak Hills Golf Course, 165 Fillow Street, Norwalk (853-8400). The Redding Country Club at 109 Lonetown Road (Route 107) is the only country club in Redding. View Redding Country Club History. 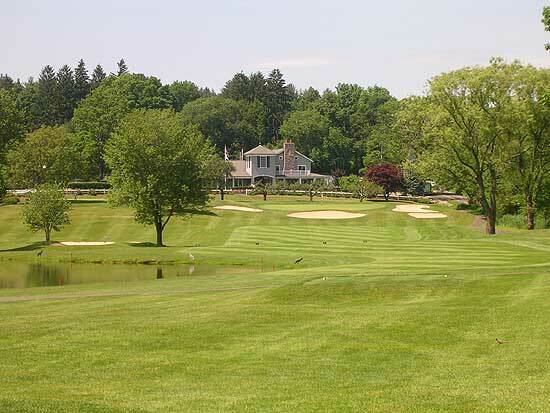 The Candlewood Valley Country Club, Route 7, New Milford (354-9359). How can I join the local country club? The Redding Country Club at 109 Lonetown Road (Route 107) is the only country club in Redding. Call 938-2567 for membership information. View Redding Country Club History. Where can I play basketball? There is a court at Topstone Park for residents, and two courts at the Boys and Girls Club but you should call 938-3166 about availability of the latter. There is also a court outside Redding Elementary School. The Park and Recreation Department sometimes runs “open gym’’ programs for adults and middle and high school students at the Redding Community Center. Call 938-2551 for information such as times and costs. Where does our water come from? All properties in Redding are fed by private wells, although Aquarion, the regional water company, has a water main from Wilton into the Georgetown area. What parts of town have sewer service? Georgetown is the only section of Redding served by sewers. The Water Pollution Control Commission is the agency managing the sewer system. How much does it cost a year? A permit to hook up to the sewers is required by the town sanitarian and costs $50 for residences, business offices and retail stores; $100 for restaurants or businesses that require pre-treatment systems such as grease traps. Your plumber may obtain the permit from the Redding Health Department (938-2559). There is also a hookup fee of $500 residential, $1,000 commercial if served by a private well, or $350 residential, $750 commercial if served by a public/private water company. An assessment fee will also be charged at 3.98% of the assessed valuation of the building, payable over 20 years. Usage fees are $17.90 per 1,000 gallons of water used based on metered flow into the building. There’s also a $45 per quarter “service ready” charge. Which phone company serves Redding? SBC serves Redding. For residence information, call 811; for business, 800-448-1008. For services for the hearing- and speech-impaired, call 800-922-4605 (voice) or 800-842-1514 (TDD/TT) for information. People with a Redding exchange (938-, 408- or 664-) may call Danbury, New Fairfield, Brookfield, Easton, Trumbull, Monroe, Ridgefield, Georgetown, Westport, Weston, Bethel, and Newtown toll-free. People with a Georgetown exchange (544-) may call Danbury, Bethel, Brookfield, New Fairfield, Weston, Westport, Wilton, Norwalk, Ridgefield, and, of course, Redding. Can I get natural gas service? No. How soon after I move into the state do I need to get a Connecticut driver’s license? A new state license is needed within 30 days. You do not need to pass a Connecticut driver’s test if you already possess a valid license from another state. You must re-register your car within 60 days. This requires visiting a full-service DMV branch for VIN verification. Call 800-842-8222 for details. Is there a taxi service? Jin Transportation Inc. (790-7433) is available 24 hours. It serves all Connecticut and New York airports, train stations, and bus terminals. Classic Cars Inc. (938-2494), is for special occasions only and uses pre-1965 Rolls-Royces and Bentleys. Where are the nearest train stations? Redding’s only station is the West Redding station off Long Ridge Road, a couple of minutes from Route 53. An annual parking permit is $150; the daily fee is $5. Branchville station on Portland Avenue off Route 7 is a few minutes from Route 107 and Georgetown. How can I get the latest train schedules? For Metro-North Commuter Railroad, call 800-638-7646 or visit mta.info. Amtrak is on the main line at Westport or Norwalk; call 800-872-7245 for its schedules or visit amtrak.com. What public transportation is available? Norwalk Transit runs a bus along Route 7 between Norwalk and Danbury, passing through Georgetown on its way. The bus runs from 6 to 10:30 a.m. and 3 to 8:30 p.m. and will stop only when flagged down by a passenger. Southbound buses pass through Georgetown at 6:29, 7:29, 8:29, and 9:29 in the morning; and 4:08, 5:08, 6:08, and 7:08 in the afternoon. Northbound buses pass at 7:04, 8:04, 9:04, and 11:04 in the morning; 3:42, 4:42, 5:42, and 6:42 in the afternoon. There is no service on weekends and certain holidays. The regular fare is $1.25, 60 cents for seniors and disabled, exact change required. For schedule times and more information, call 852-0000 or visit norwalktransit.com. Where is the nearest bus station? The Danbury Bus Terminal, 48 Elm Street, Danbury (748-1353) is served by Bonanza and Greyhound. Peter Pan and Greyhound use the station at 30 Station Place (343-9999) in Stamford. Connecticut Limousine (800-472-5466), which runs buses and limos to airports, picks up passengers at the Radisson Hotel, Lake Avenue Extension, in Danbury. Westchester County Airport in New York is used by American, Northwest, United and U.S. Air. The phone number is 914-285-4850. LaGuardia, serving 22 airlines, is in Queens, New York, about a one-hour drive from New Canaan. The phone number is 718-533-3400. The Web site is panyn.gov/aviation/lgaframe.htm. Kennedy Airport, a major international airport serving scores of airlines, is also in Queens, about 90 minutes away. The phone number there is 718-244-4444. The Web site is panyn.gov/aviation/jfkframe.htm. Sikorsky Memorial Airport (203-576-7498) is in Stratford. Does not have commercial flights. Bradley International Airport (860-292-2000/888-624-1533) is New England’s second-largest airport after Logan in Boston. It is in Windsor Locks, 12 miles north of Hartford, about an hour and 15 minutes away. Bradley serves 15 airlines including America West, American, Continental, Delta, Delta Express, Midwest Express, Northwest, Southwest, United, and U.S. Airways. For more information, check the Web site at bradleyairport.com. Danbury Municipal Airport (797-4624) does not have commercial flights. It does offer charter service, aircraft rentals, flight instruction, and sightseeing rides. Despite its name, the Ridgefield Motor Inn/Days Inn (438-3781) at 296 Ethan Allen Highway (Route 7) is in Redding. 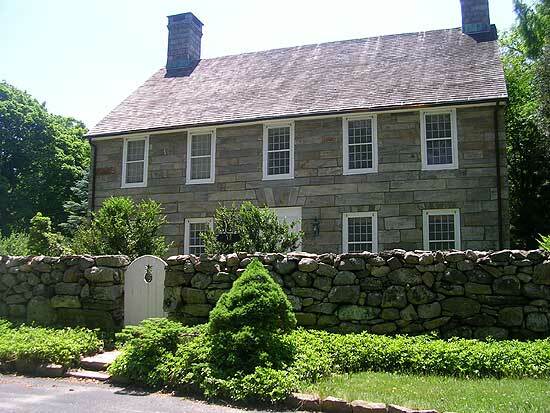 Also in nearby Ridgefield the Stonehenge Restaurant and Inn (438-6511), just off Route 7 (438-6511), the Elms Inn at 500 Main Street (438-2541), and the West Lane Inn at 22 West Lane (438-7323) have overnight rooms. There are no bed-and-breakfasts in town. Does anyone welcome newcomers to town? Personal Touch Welcome visits families who have relocated to or within town with a basket of helpful information about the community and gifts from local merchants and professionals. New parents in Redding are congratulated with a gift basket also. For an appointment, call Dee Strilowich at 438-0128 or visit www.personaltouchwelcome.com. Community Ambassador also welcomes people to Redding. Call 847-5381 or visit www.communityambassador.com. Visit Our Latest Sponsor: Turtle Clan Environmental, Connecticut Mold Testing. Experts with over 100 years of intellectual capital and specialize in testing of mold and mildew, radon, asbestos and lead. Turtle Clan follows the IAQA, IESO, AMIAQ Council and AIHA recommendations for the assessment of indoor environments for mold contamination. It is important to use a firm that is certified in and follow these protocols to insure project is completed successfully.